A blythe doll foot (tbl body) in a pair of Licca flats.^ there’s quite a bit of gappage. The shoes don’t look terrible on blythe feet, but if you hold the doll, the shoes will sort of dangle off their feet. 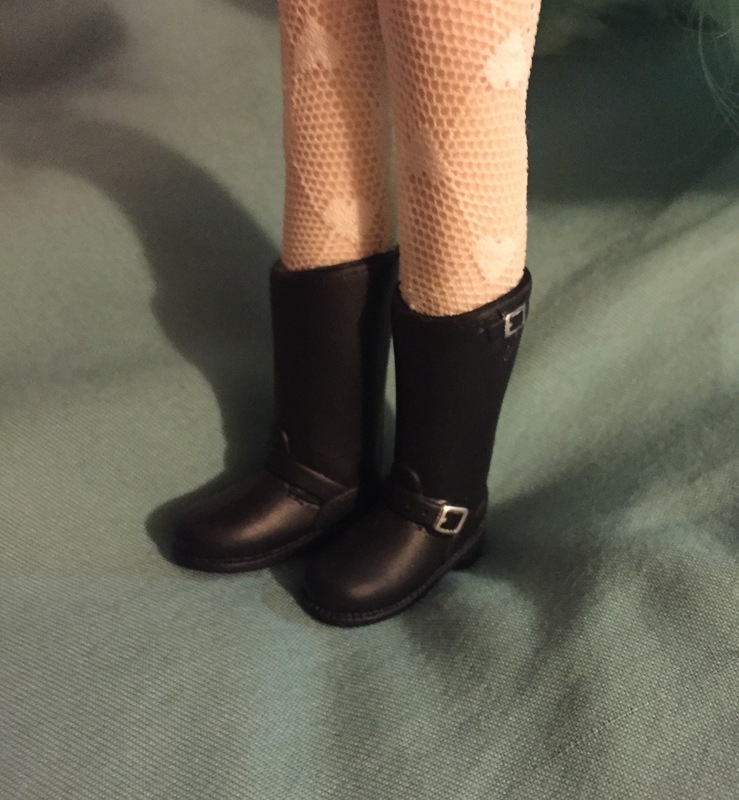 Blythe feet (Wendy weekender) in Licca chan boots (from the Bijou series). It’s a good fit! 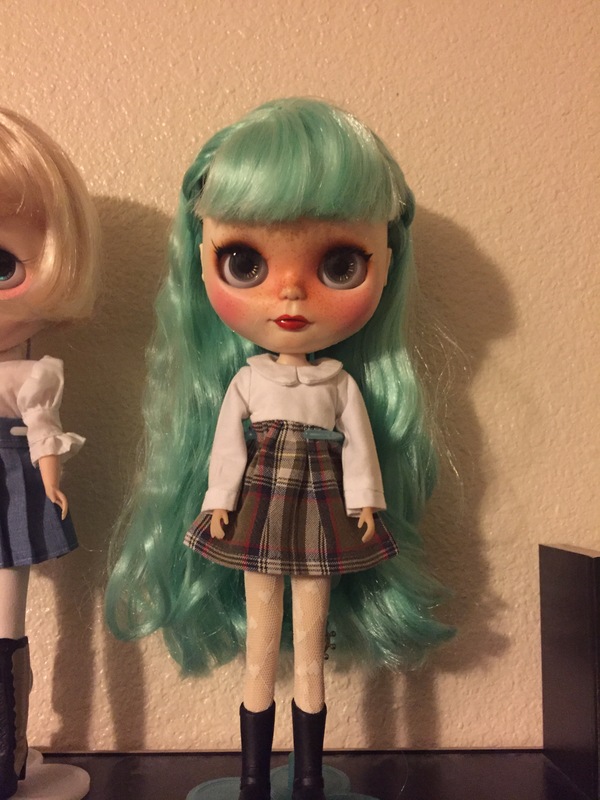 Quick post on blythe and licca (4th gen only) proportions. Licca chan’s body is more petite than a Blythe body. I find that some Azone Pure Neemo XS clothes fit Licca chan very well. 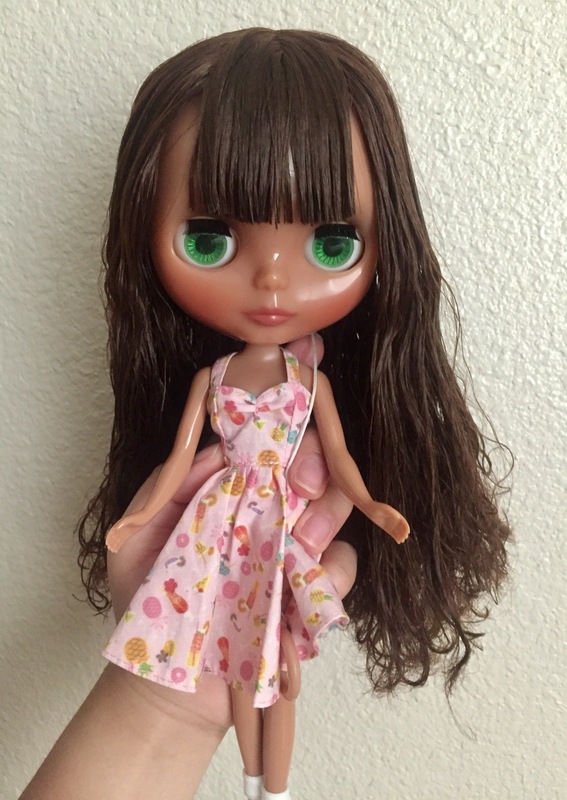 Blythe clothes are oversized on Licca chan, which can be cute or awkward looking depending on what the item is. Vintage skipper clothes will fit Blythe. Some Barbie clothes will fit Blythe (some tops). Ely chan fashion packs will fit Blythe. 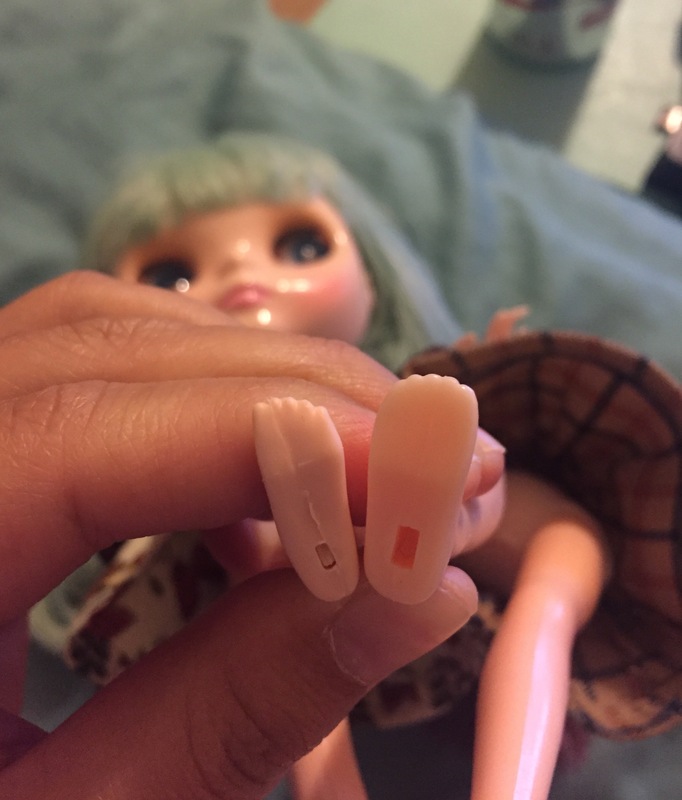 A closeup of a Blythe foot (left) and a Licca foot (right). 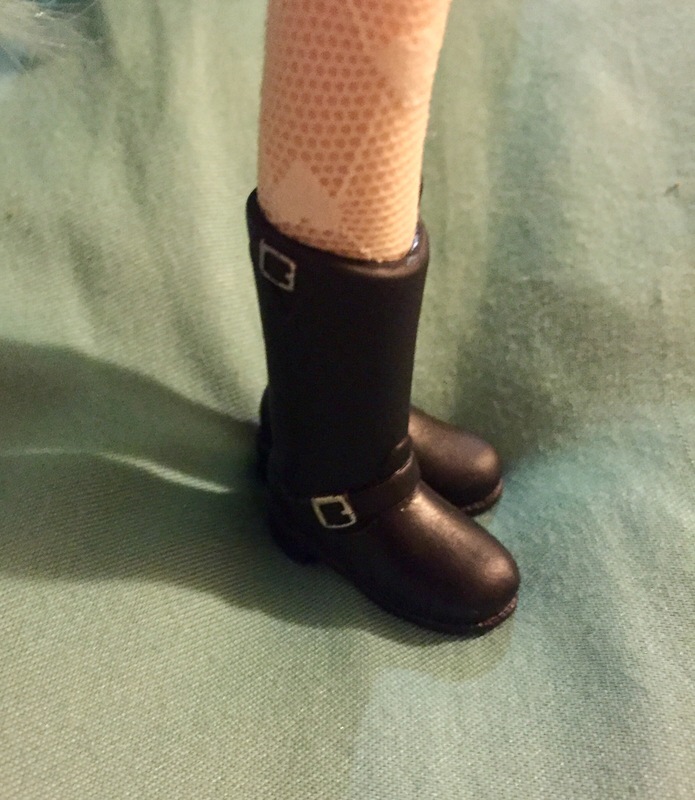 The Licca foot is considerably bigger. 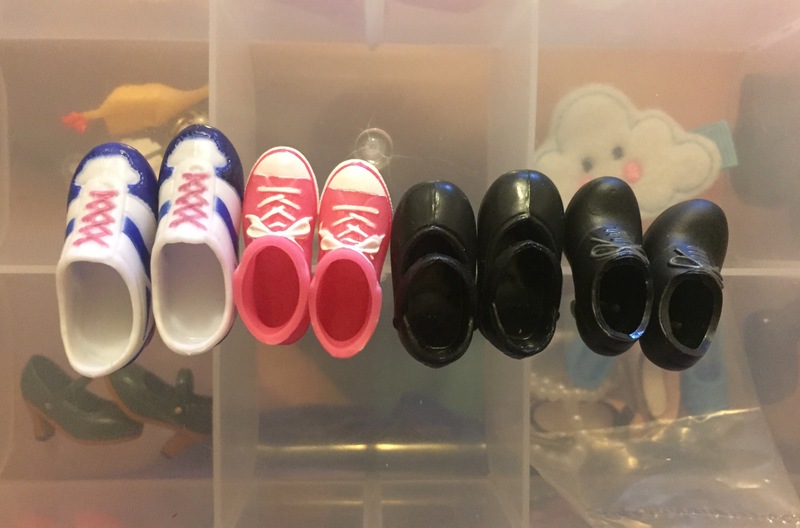 The openings to the Licca shoes are bigger to accommodate the bigger, wider Licca feet. The Licca shoes that I own are also squished than blythe shoes. 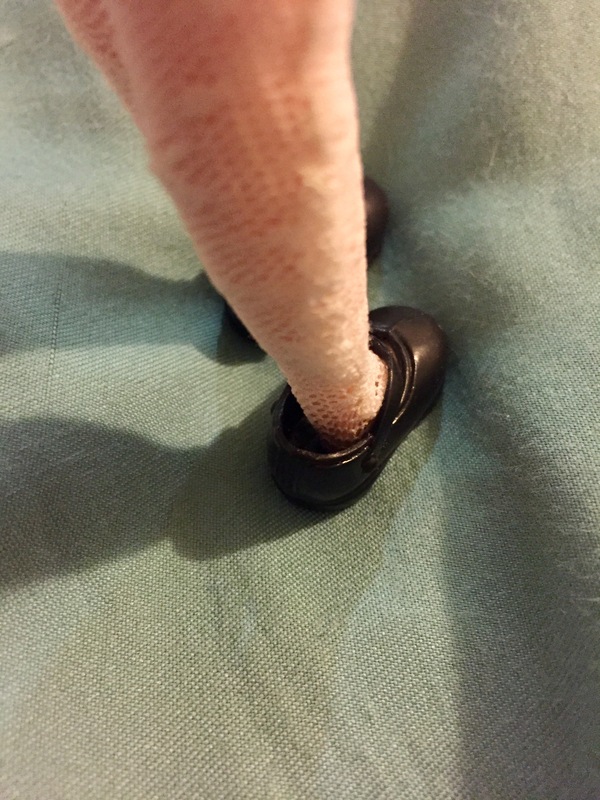 Honestly, the fit of a licca shoe on a licca foot isn’t exactly snug, but more of a loose fit. I made it to a beach this weekend, and I even brought my newest blythe with me for photos… but I didn’t take any. I think maybe I don’t like the idea of Blythe dolls and the beach – maybe it’s the sand, the glaring sun, and the sea water, and how all of those things can potentially do some damage. I put Pineapple Princess in her other stock outfit. Her hair is still a HUGE mess, so I put it into two chunky braids. I think she looks really cute! I still don’t know what to call her. The only thing that comes to mind is Piña Colada. Marina and Reese also got an outfit change. Reese isn’t really season appropriate, so no photos of her, but Marina is looking particularly cute, so I wanted to share ^^. Hopefully next weekend, I’ll take a girl out to the park for pictures. At this point, photo shoots or changing outfits feel a bit forced. I’m content with having all of my dolls just sit on the shelf and look pretty. I’m hoping that by pushing myself to tote a doll around, it’ll become something I want to do naturally. I’m kind of sick of being in this doll hobby funk. It’s getting old. 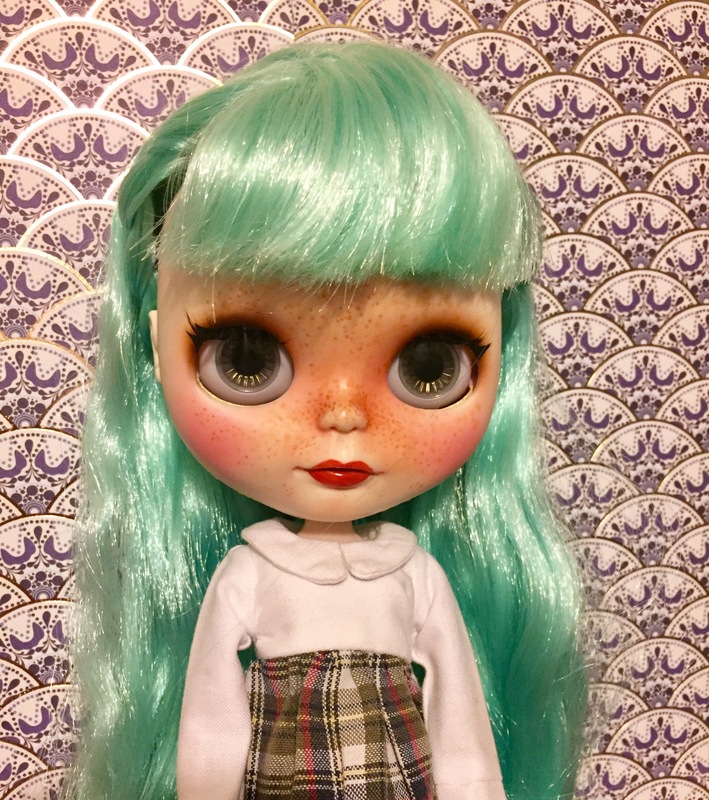 I’ve been passive in the blythe hobby as of late. The slump lasted pretty much a year – in part because of the cost of the hobby, the lack of a community in my immediate vicinity, all of the adjustments I’ve had to make because of the move, needing to juggle new responsibilities, which left me with little free time, and new interests. My dolls have been sitting pretty on the shelf or in the socker greenhouse, unchanging, kind of just waiting patiently for me to pick them up again. All the while, I’ve developed some new interests >_< . This past year, I’ve been REALLY into otome games (seriously went through the looking glass into this whole new world of story telling via visual novel), journaling, and now Tarot cards and crystals. I feel like I’m coming full circle though! 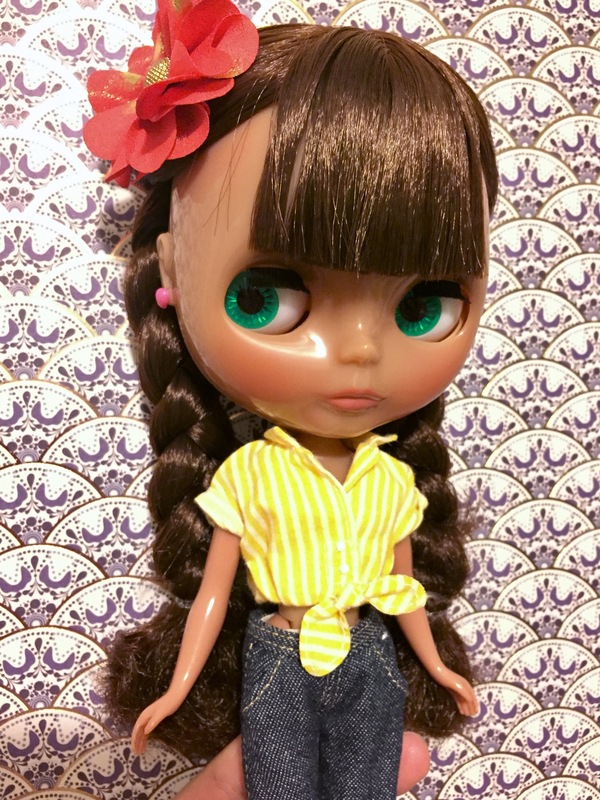 Two major changes in my doll collection – Elowyn, my stock Cherie Babette, has moved on (sold), and I purchased and received Pineapple Princess! 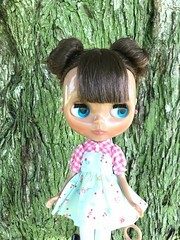 I let go of a translucent FBL and bought a translucent tan blythe (balance kind of restored?). Fresh from the spa because her hair was a MESS. She’s glorious :3 . I don’t have any variety of skin tones in my doll collection, so PP is a welcome addition. She’s so summery. I’m excited to have her, and I can’t wait to try some outfits on her. Surprisingly (for me), I haven’t added any new doll clothes to my collection. Good job, me. Right now, I’m super into learning to read tarot cards, but I don’t see this competing with my interest in blythe. Reading tarot cards has been a very reflective activity, which I like to do in the park. 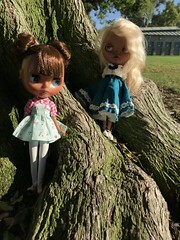 I think next time, I’ll bring a blythe for a quick photo shoot when I go to the park to read. 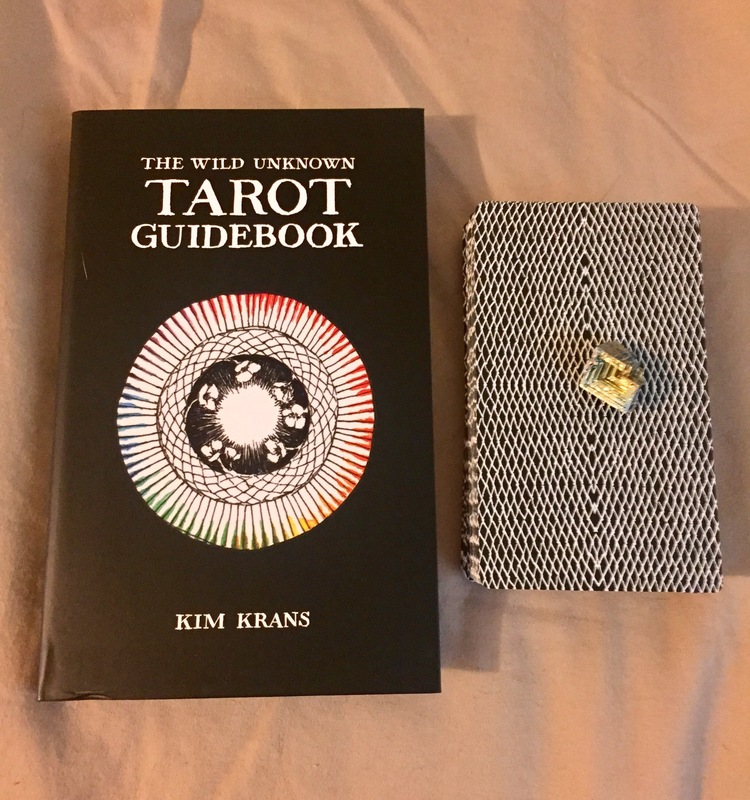 My latest additions – The wild unknown deck and a small piece of bismuth (nature is so cool – though I’m pretty sure that this stone is man-made… SCIENCE is so cool). I hope to revive my blogging, minus the pressure to blog a couple times a week. I find myself not having that much free time, let alone time for any hobbies. 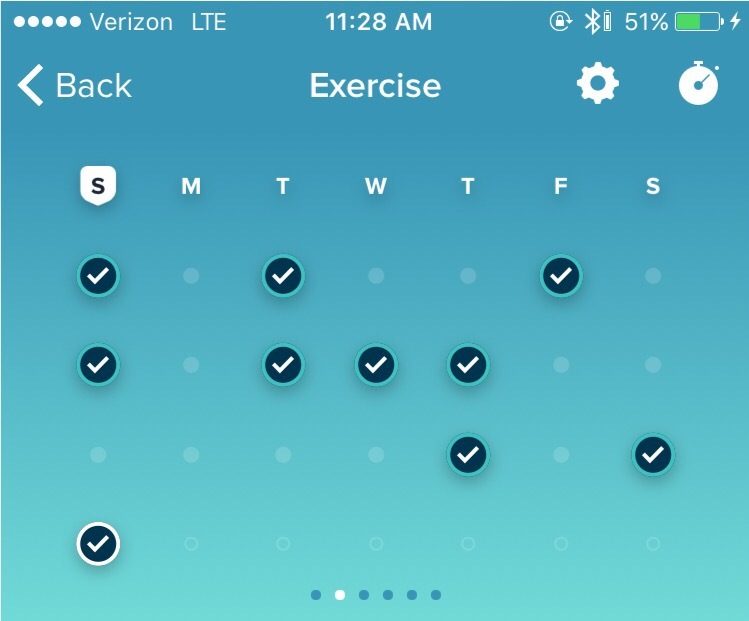 I’ve added an exercise routine to my life because of a recent health scare (a doctor told me that I might be Pre-diabetic and possibly have Hashimoto’s). I found out I’m fine, but you know what they say about an ounce of prevention. 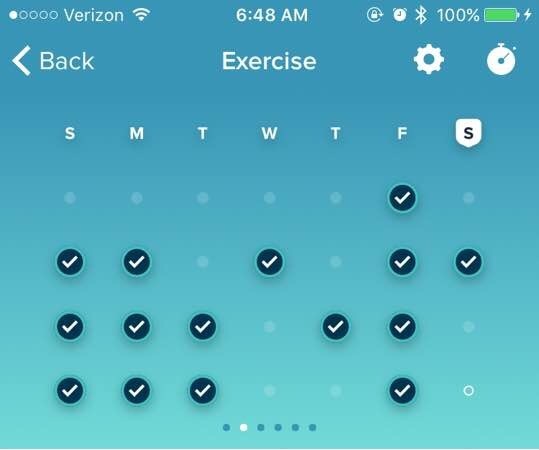 I literally started exercising the day I got the scary news, and I kept going as best as I could. I think the last time I’ve been this diligent was in high school (many moons ago). I have to say, exercising is so time consuming. I hope I have more things to say soon. I still feel a bit disconnected from the blythe hobby. 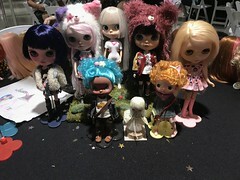 I know there is a blythe meet up group 1.5 hours away, but I feel pretty isolated.